The Gambling Functional Assessment (GFA) hypothesized four possible maintaining functions of gambling behavior, including social attention, escape from aversive events, access to tangible items, and sensory stimulation. In the years following the GFA’s release, research teams have argued for a revised model of the GFA to account for just two possible functions maintaining gambling behavior (positive and negative reinforcement). In the current study, we examined the extent to which a four-factor gambling functional assessment was possible, sustaining a conceptual and theoretical orientation consistent with a functional behavioral account of gambling. Three hundred and sixty-five recreational and disordered gamblers completed a demographic survey, the South Oaks Gambling Screen (SOGS), and the GFA. An exploratory factor analysis was first conducted to determine GFA functional items that loaded onto a common factor, and a confirmatory factor analysis was conducted to determine if a four-factor model, consistent with the functional categories of the GFA, provided a good fit for the obtained data. Outcomes supported the model, suggesting that a four-factor functional account of gambling behavior can be obtained. Differing results obtained by separate research teams, however, suggest that more precise research may be needed in the development and analysis of functional instruments for use with gamblers. This paper is based on a portion of the dissertation of the second author, completed while affiliated with Southern Illinois University. Barrett, P. (2007). Structural equation modelling: adjudging model fit. 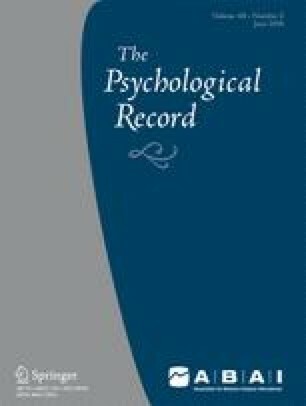 Personality and Individual Differences, 42, 815-824. https://doi.org/10.1016/j.paid.2006.09.018. Shaffer, H. J., & Kidman, R. (Eds.). (2003). Shifting perspectives on gambling and addiction. Journal of Gambling Studies, 19, 1–6. https://doi.org/10.1023/A:1021267028254.